CHICAGO (WLS) -- Six people were injured after an apparent head-on crash on Lake Shore Drive Sunday morning, Chicago police said. 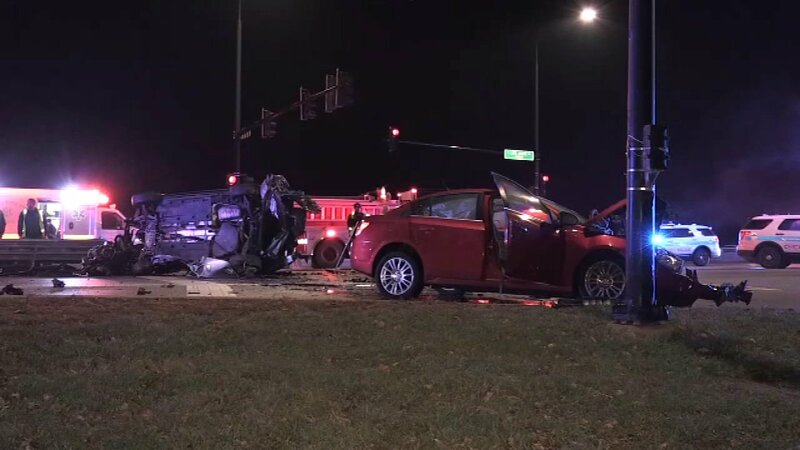 The crash happened in the 5900-block of South Lake Shore Drive near the Museum of Science and Industry at about 2:20 a.m. A Volkswagen Passat was traveling south when it struck a Chevy Cruze, police said. The Passat rolled on its side and a man and woman inside were transported to Northwestern Memorial Hospital in stable condition, police said. Three men and a woman inside the Cruze were transported to Christ and Stroger hospitals in stable condition. The crash appeared to be head on, but police could not confirm. Major Accidents is investigating.